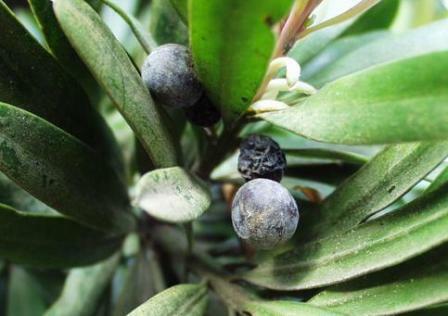 « WILD HIMALAYAN BAEL_Aegle_marmelos_Wild_Himalayan_Strain » YOLO_Afromonium_spp. Mogobagoba is a native of Africa. This elegantly shaped majestic tree can be seen growing commonly in all over southern Africa. This is large tree valued for its wood. The fruits can be eaten but are not so popular. 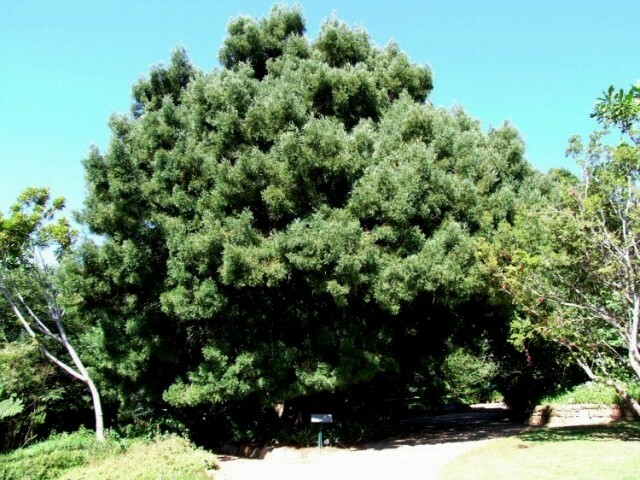 A tall, evergreen tree, upto 45m high, bark smooth, ridged on younger stems and peeling off in flakes on the older trees. Leaves arranged spirally, with parallel veins and smooth margins; leaf tip sharply pointed. Male and female cones occurring on different trees. Ripe fruits are edible but are very resinous. These are also very much liked by birds. 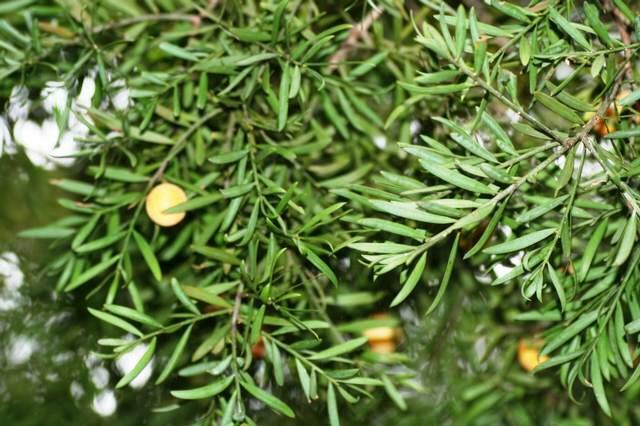 Mogobagoba is basically a wood yielding tree. The wood is used extensively for furniture, roof beams, floorboards, door and window frames and boat building. Mogobagoba is a fast growing tree. It is propagated from seed. The seeds need to be thoroughly cleaned so that these are completely free of the edible pulp which contains a germination inhibitor. The seed can then be sown directly into bags or into deep seed trays using a mixture of well-rotted compost and washed sand (1:1). The seed must be pushed and bedded into the mixture and covered with a light layer of soil. The bags or seed trays should be regularly watered to keep them moist at all times. The germination starts after six weeks but some of the seeds may take upto six months to come out. When the seedlings attain a height of 5-8 cm, they should be transferred larger bags or pots. Care must be taken not to damage the tap root as this will drastically slow down the initial growth of the plant. In gardens, mogobagoba is panted as an ornamental tree.